Home > Shopping > What are Shopbots? You may well be wondering what the hell a shopbot is! Unfortunately, nice as it would be, they are not robots that do your shopping for you. Well, not exactly anyway. A shopbot is essentially an online price comparison site. They save shoppers money as you can see at a glance where you can get the best deals possible. You can use a shopbot to do loads of different types of shopping from flowers to electronics. There are loads more shopbots as well so it’s worth keeping a record of others that you find. Companies trying to save consumers money – sounds a bit too good to be true doesn’t it? Well there is something in it for the shopbot site owners. Shopbots usually make money on a pay-per-click basis. Everytime the retailer makes a sale through the shopbot site, they pay a small pre-agreed commission fee. So you the shopper really don’t lose out at all. If the shopbot doesn’t display prices for delivery as well as products make sure you take this into account. You can often make even more savings by using a shopbot through a cashback site. Remember that shopbots usually purely make comparisons based on cost, not on feedback or quality or any other factors that may be important in your shopping decisions. Small, niche retailers are unlikely to be included in shopbot searches so if you want to support small online retailers or are looking for a unique or unusual item, you’ll probably still want to do some independent research. Carrying on from this point shopbots do not search all shopping sites and retailers, they only include ones who have signed up to be included in the search. So, if you do some research yourself, it’s not impossible that you’ll find a better deal. Shopbots don’t necessarily just save you a few pence. You could realistically save from 10% up to 60% on some products. Use cashback sites. All cashback sites work by providing traffic to various online retailers. Everytime the internet retailers receives a click-through or makes a sale they pay a small commission fee to the cashback site. Use a cashback credit card. 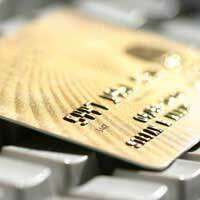 Many credit cards offer points which equate to money, everytime you spend with the card. The amounts aren’t huge but they add up if you shop online regularly. Use discount vouchers, codes and promotions where possible.